The recent year was good for Samsung and its fans as Samsung released lots of new devices like Galaxy Note Edge and Galaxy Alpha. The Edge is itself a unique device because of its different type of display. On another hand, Galaxy Alpha is a simple smartphone but it is special as Samsung launched it as its first metal housing smartphone. Galaxy Alpha is powered with the mid range hardware. The performance configuration of on Big.Little system on chip is good and average in some cases. In the different benchmark test results, phone is performing well, for example consider the test 3DMark (Ice Storm Unlimited) it gets less than 7,300 points in AnTuTu – 34.000 points. In both tests Chipset Qualcomm Snapdragon 801 in the same Galaxy S5 shows better results; in 3DMark performance increase more than double. The test proves that it is not nearly approached the current leader of the iPhone 6. As usual, between the theoretical tests and practical experience there is a big difference. 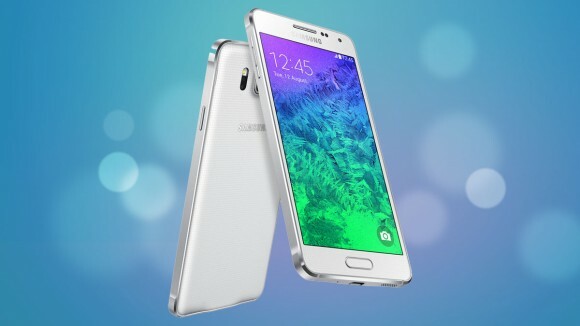 But in daily use, you would not find the issues with working of Galaxy Alpha. However, its processor is not highly clocked or superfast and still it can handle big apps. Because of the small thickness of the body to the manufacturer failed to establish a capacious battery, unlike many competitors with a display diagonal of 4.5-4.7; “at Galaxy S5 Mini we get 2,100 mAh battery display at 4.5” in 4.7 inch HTC One (M7) – 2.300 mAh. Despite the modern System on chip and economical display Super AMOLED, at Galaxy Alpha battery works for 9.5 hours while video play back, the average result. The aforementioned Galaxy S5 Mini showed runtimes more than 11 hours, the iPhone 6, despite the lower resolution and a slightly smaller capacity, Alpha gets the 12 hours battery life in avg. load. However, there is one advantage: the battery can be easily replaced. In practice (several phone calls a day, the synchronization of the two mailboxes, surfing through LTE and WLAN) results are not better. If you disconnect the morning Galaxy Alpha by charging, then it won’t last more than 30 hours, yes it could not resist. And there is ultra-energy-saving, which familiar to us from Samsung Galaxy S5. It gives significantly better battery life, but it will have to pay for the loss of comfort and functionality. This was all about the Samsung Galaxy Alpha, which proved to be a good phone. And if Samsung will think about reducing the price of this gadget then Samsung may get good sales, else due the better opportunities and better phones, people will definitely think about other deal. And we hope that Samsung would not be pricing the upcoming gadgets at really high price tag. For example: Samsung Galaxy S6, which would hit the market by March, and Galaxy Note 5 in Sep 2015. Samsung should really work on the price of their smartphone, as after every release, price is the main issue of Samsung smartphone.